Hong Kong filmmaker Johnnie To has directed over 50 features during a career of more than three decades. He’s well-known overseas and has drawn more attention lately in the States. His latest film Drug War appeared on many lists of 2013’s best, and he keeps working at a prolific pace. Fans like Quentin Tarantino have built his reputation as a force in the crime genre. To’s work is right up my alley, yet I’ve only seen one of his movies. I caught his 2006 picture Exiled during my International Gangsters marathon, and it was a stunning introduction. 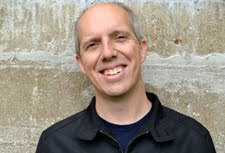 It’s time to dig into more of To’s career, and the logical starting place is his pair of gangster epics — Election and Triad Election. I’ll close out this series by checking out Drug War. This marathon only scratches the surface but is a step in the right direction. Election arrived in 2005 and is one of To’s most acclaimed films. Tarantino labeled it the best film of the year. That may be a stretch, but not meeting that standard doesn’t mean it isn’t striking. Working from a script by Yau Nai-Hoi and Yip Tin-Shing, To digs into the conflict between old-world policies and ruthless ambition in Hong Kong’s Wo Shing society. This triad was established back in 1930, and it’s wielded serious influence. This fictional story reveals the challenges in maintaining cohesion within such a powerful group. Even the most professional guys are only a step away from something very different. After seeing Exiled's energetic mayhem, I was surprised to note this film's slow-burn approach. To takes his time and builds the environment before kicking the chase into gear. The baton functions like a McGuffin that drives the action, but its power is limited. Like the title rifle in Winchester ’73, anyone who grabs the baton is doomed for a beating. This pursuit takes over the second act and brings movement to a story that’s mostly talking. While the pace could induce restlessness, it helps to separate the true players from the henchmen. 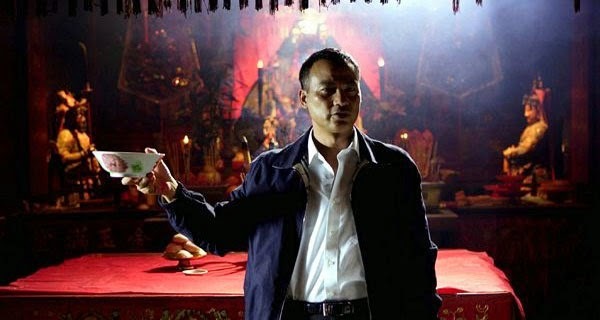 Lok (Simon Yam) is cool and laid back, but his approach masks a nasty thirst for control. He plays by the books and follows the traditions, but it’s mostly because the cards are stacked in his favor. Big D (Tony Leung Ka Fai) recognizes that he’s getting bypassed again, and his anger causes him to recognize some flaws in the old system. To sets up the conflict between Lok and Big D, which lurks beneath the surface even after they make peace. This world isn’t big enough for the both of them. What’s interesting is the lack of posturing by Lok against his opponent’s fiery persona. He remains calm, but that approach only works for so long. No one gets that high up the chain in this society without breaking some heads. It’s the simmering tension beneath each moment that raises the interest. Hanging behind their efforts is the police force, which picks up the gangsters yet seems toothless to stop their mayhem. They arrive frequently and interrupt this saga, yet the ultimate outcome won’t be decided by guys working on that side of the law. When we think of a U.S. election, it brings to mind votes and the democratic process, at least in theory. This film’s process to choose a new chairman has a similar framework, yet it’s hardly so clear. Big D’s reaction to losing makes it seem like he’s the wrong choice. Sane guys don’t throw men down the hill in boxes. Even so, we see how the hothead may actually be the right pick by the end. Big D wears his heart on his sleeve and acts irrationally, but he can be loyal. Once Lok makes a truce, they work together well, at least for a short time. To eventually reveals the animal behind the mask in the most brutal way possible. Before continuing, I have to mention the character names in this film and wonder about the translations. It’s much harder to take a guy seriously who goes by Big D; it reminds me of a baseball card shop that I visited as a kid. That business (named Big D’s) was run by two brothers that both had to weigh nearly 400 pounds each. We also have characters named Big Head, Uncle Cocky, Jet, and Whistle. While those titles bring some flavor to a pretty grim procedural, they seem out of place within the drama. The standout moment comes at the end, when Lok delivers a shocking There Will Be Blood-style end to his business partner. This scene goes far beyond Daniel Plainview and presents a haunting portrayal of this universe. The serene backdrop is a sharp contrast from his actions, and they’re inspired by just a few words. The nearby monkeys show what To is revealing about Lok’s true nature. With his young son watching nearby, Lok’s violent outburst is something that I just can’t remove from my mind. 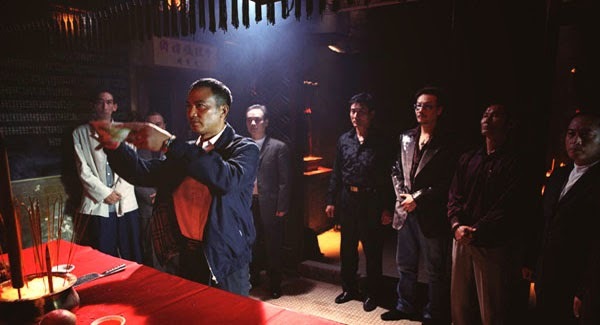 Simon Yam played it big in Exiled, yet it’s his controlled aggression that sells this moment. He’s an actor who’s capable of so much energy, yet it’s his matter-of-fact approach that enhances the horror. Looking at next week, I’m intrigued to see where the story will go in Triad Election (Election 2). Will Lok face an insurrection? I have a feeling that his power will be short lived. Johnnie To is a name that I've been hearing about for years but had never seen any of his films. I just don't know where to start as I hope to see his films maybe in 2015/2016. He has a lot of good options. I was blown away by Exiled, so I was a bit surprised that Election was more of a slow burn for a while. Even so, it's still an intriguing movie with great drama. I'll be curious to see how the next few go. From what I've heard, checking out Johnnie To is definitely the right move. Nice! I have only just begun exploring Johnnie To's work as well. I started with Drug War, which I absolutely loved, and then moved onto Election. I'll admit I had a hard time getting into it at first, but that ending just knocked me out cold. Far beyond Daniel Plainview indeed.. I was not expecting that! I wasn't aware there was a sequel either. I'll have to give that a shot, too. Eric, I just watched the sequel, and it's in a similar vein but even darker. I'm looking forward to checking out Drug War sometime next week. I feel like I'm barely scratching the surface with Johnnie To, but it's a start at least.